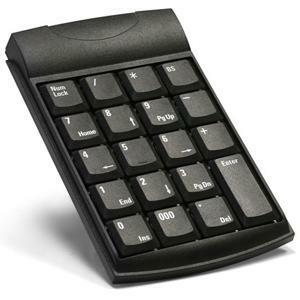 A USB keypad could pass for an accountant’s best friend. No surprises here – anything that allows an accountant to use Excel more efficiently is beloved by accountants. Among the jumble of mice, keyboards, AC adapters, screen protectors, and unused laptop locks – the USB keypad is the most useful to an accountant. A USB keypad is a computer peripheral that lets accountants type much faster than the row of numbers found at the top of the keyboard. The USB keypad is taken for granted, except for when it’s missing. Once it is gone, an accountant will spend all their energy tracking down a spare USB keypad. Fancier USB keypads have spare USB ports, function as standalone calculators, or work wirelessly. If you see an accountant using a laptop’s trackpad and no attached USB keypad, it is safe to assume that they’re new to the profession. However, this can get tricky since an accountant without a USB keypad could be so old to the profession that they have people to do the number crunching for them – so they wouldn’t need a USB keypad. While USB keypads appear to be going the way of the floppy drive, this couldn’t be further from the truth. With smaller notebooks like netbooks and touchscreen devices, nothing can match the ability of a $15 USB keypad to get numbers into Excel and get things done. While you can’t give an accountant a USB keypad as a gift (since it’s given they already own one), you can use the USB keypad to distinguish between the good and bad accountants. An accountant with a USB keypad, mouse, extra monitor, etc. will get a hundred more things done than an accountant who relies on the trackpad and looking at the top of their keyboard to enter numbers. Eh, I’ll take my trusty Texas Instruments BAII Plus, thank you very much! If I’ve gotta foot it, it better be in Excel! You’ve managed to take it to a new level of crappy posting. Congratulations for that! If you’re not going to do this right, then don’t do it at all. We call them a 10-key, where I come from. good posting. Don’t be such nubs guys…..how many things are there that you can actually post about re: auditing/accounting. Congrats boowie on your crappy comment. Shake them haters off. Yeah boowie – just shutup already. No one likes you. on 20 May 2009 at 5:23 pm7 what?! wow! haha I thought this was a funny/nice post…I am sad to see I am in the minority on that. if it is one thing we learn through life is to haters will ALWAYS hate, so just ignore them and keep doing your own thing! i thought your post was great! and I have this site bookmarked! You know what else is funny…paper!!! There’s your next post right there. I’m laughing right now just thinking about it. Here’s another one…crappy blogs. More specifically, blogs with a ton of potential that fail to live up to any of it. Actually, Boowie had a good idea with the paper one. More specifically the fact that paper ends up covering every surface area possible that is alotted to accountants. Maybe that means we hate unused surface area and consider it our personal goal to cover it up. Otherwise a manager might come along, see that there’s unused surface area near us, and decide that we have room for more work. Doubtful… If he was laid off, he would have even more time and should be cranking posts out…And what accountant calls it a ‘USB Keypad’?? 10 key, anyone?? Are we even sure this guy is(was?) an accountant? May 10th??? Really??? Maybe his next post should be about Sabbaticals. wtf? maybe they were trying to differentiate btwn a 10-key calc and the actual keypad. calm down psycho. this i one of my fav posts.